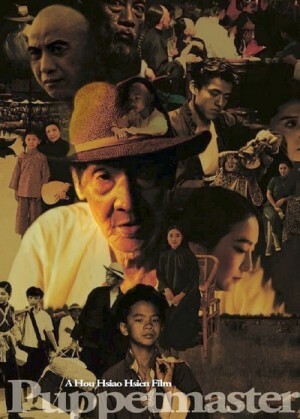 The second in a trilogy on Taiwanese history (preceded by 1989's City Of Sadness and followed by 1996's Goodbye South, Goodbye), The Puppetmaster takes place during the Japanese occupation of the country from 1895 until the end of WWII. Rather than chronicle a checklist of the period's major events, Hou shows how they impress on the tumultuous life of Li Tianlu, Taiwan's most celebrated puppeteer, and a man Hou once called "a living encyclopedia of Chinese tradition". His gift for theatrics spares him from the cruel fate visited on many of his family members, but it also holds him in the sway of forces beyond his control, leading him at one point to participate in WWII propaganda plays for the Japanese. This is not the story of solely one man, this is the story of an entire generation of people that were forced to adapt unwillingly to cultural changes forced upon them by war and the outside influences of a superior military power.